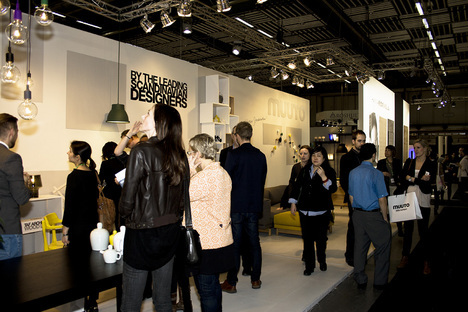 Yep, the world´s largest meeting place for Nordic design celebrates its 60th anniversary. 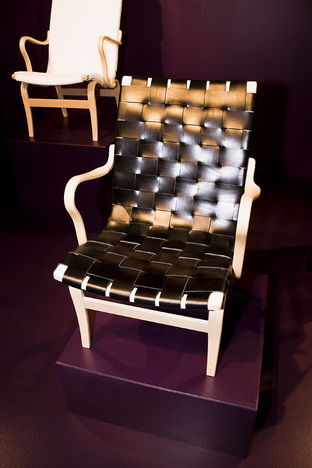 Stockholm Design Week and the furniture fair is by no means milestone in European design. 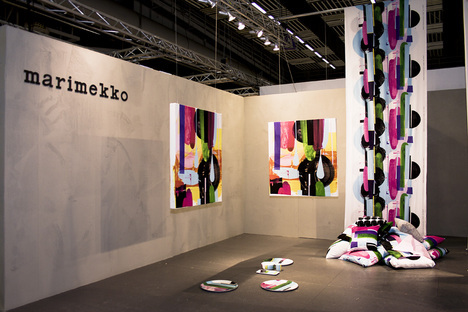 Artek, Marimekko, Stockholm Design House, Bruno Mathsson, Zero, Swedese, Muuto; a large list of exhibitors to draw up a scenario distinguished by its enthusiasm and solidity. Artek and Marimekko are the proud of Finland. Latter teams up with artist Astrid Sylwan to create a set of three patterns which playfully use in eye-catching ways for both fabrics and tableware. Artek –still with the hangover of its 75th anniversary– now looks towards new perspectives and introduces Ilmari Tapiovaara’s furniture collection, including Mademoiselle lounge and rocking chair. In addition to it, also it was presented Aaltos’s iconic Stool 60/E60 with new colors. Bruno Mathsson is one of our favorites Swedish brands. The Scandinavian Mid-Century Modern brand showed classic models such Eva chair (in the image) and Mina chair. For this edition of the Design Week they introduced their classic model Jetson with an auxiliary footrest, as a new feature. 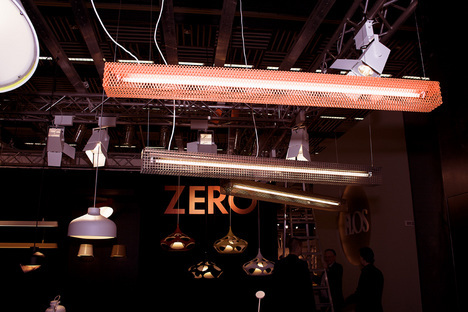 Swedish manufacturer Zero introduced the design from one of his most acclaimed designers, Ståhlbom, whom this time was inspired in rubber; but also new proposals from Karim Rashid, Jonas Forsman and the nice Grid pendant lamp from Front designers. The Swedish multidisciplinary design-house Form Us With Love runs its own event and showroom on every edition during the Stockholm Design Week. 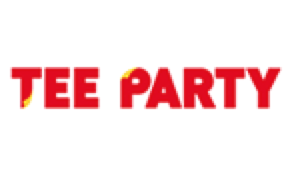 An event that it is becoming more and more popular by its particular approach to the furniture design industry but also, perhaps the most wild and interesting afterparty during these days. The 2011 edition is named “A glossary for successful collaborations”. For this year, the studio decided to launch the event in an old church located in the nice area of Vasastan, in Stockholm. 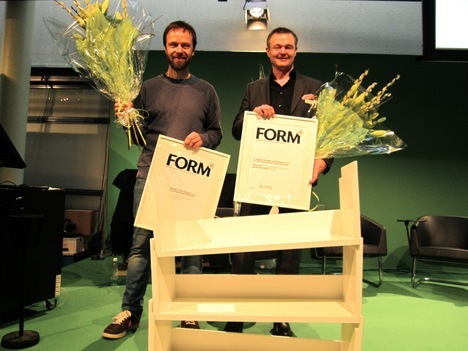 Nordic manufacturer and retail Swedese and his designer Thomas Bernstrad won the best-in-show piece at the fair with Ivy shelf. The industrial design magazine Form is the responsible every edition for that prize. It is called +1 Award where last year’s winners choose who should be awarded the current year. One of the greatest features on each edition is the importance of new talents and the sustainability. Young Swedish design is represented by Ung8, a project initiated by Svensk Form and Form/Design center in 1998 to make available to the up & coming to reach new audiences and establish new contacts. 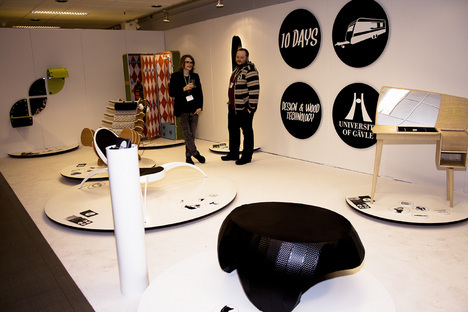 The same way, different universities, schools and design institutions find in the Design Week a window stand to abroad. 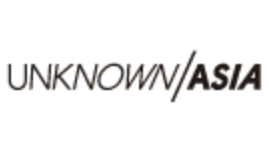 That is Greenhouse, an arena to exhibit prototypes and establish contacts with manufactures, media and industry insiders. 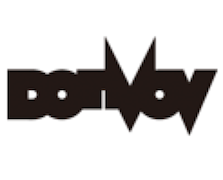 Some examples of prominent design groups have passed here are TAF Arkitektkontor, Save our Souls, Front or Jens Fager. 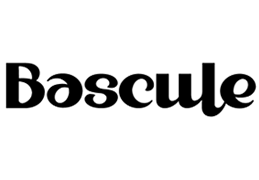 Thanks to the great educational institutions, the outcome for the Scandinavian furniture and lightning design arena is vast. 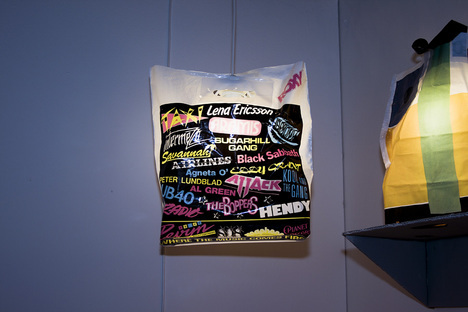 It was interesting to see the proposal “Bag of Light” from Dornick Designers, a module for upcycling that fits the most common sizes of plastic bags turning the trash item into interior design. 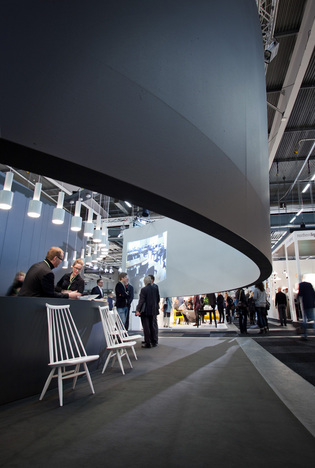 The fair also held other European exhibitors such as Deon, Vitra, Santa & Cole, etc. In addition to the main venue, different showrooms and design magazines spread the message during those days. 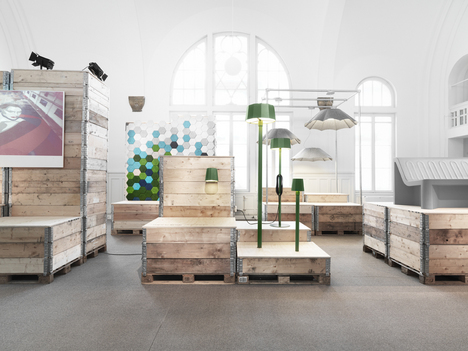 Stockholm Design Week and the furniture fair showed again the bright side of a solid industry.